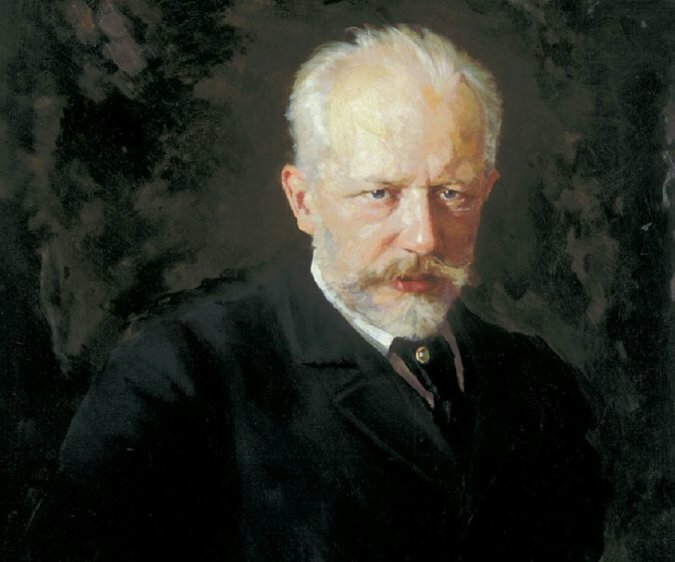 “Tchaikovsky was made for ballet,” writes musicologist David Brown Before him, musicologist Francis Maes writes, ballet music was written by specialists, such as Ludwig Minkus and Cesare Pugni, “who wrote nothing else and knew all the tricks of the trade.” Brown explains that Tchaikovsky gifts for melody and orchestration, his ability to write memorable dance music with great fluency and his responsiveness to a theatrical atmosphere made him uniquely qualified in writing for the genre. Above all, Brown writes, he had “an ability to create and sustain atmosphere: above all, a faculty for suggesting and supporting movement … animated by an abundant inventiveness, above all rhythmic, within the individual phrase.” In comparing Tchaikovsky to French composer Léo Delibes, whose ballets Tchaikovsky adored, Brown writes that while the two composers shared similar talents, the Russian’s passion places him in a higher league than that of the Frenchman. Where Delibes’ music remains decorative, Tchaikovsky’s touches the senses and achieves a deeper significance. Tchaikovsky’s three ballets, Maes says, forced an aesthetic re-evaluation of music for that genre. 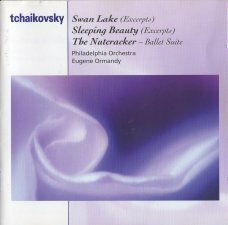 Brown calls Tchaikovsky’s first ballet, Swan Lake, “a very remarkable and bold achievement.” The genre on the whole was mainly “a decorative spectacle” when Swan Lake was written, which made Tchaikovsky’s attempt to “incorporate a drama that was more than a convenient series of incidents for mechanically shifting from one divertissement to the next … almost visionary.” However, while the composer showed considerable aptitude in writing music that focused on the drama of the story, the demand for set pieces undercut his potential for complete success. The lengthy divertissements he supplied for two of the ballet’s four acts display a “commendable variety of character” but divert action (and audience attention) away from the main plot. Moreover, Brown adds, the formal dance music is uneven, some of it “quite ordinary, a little even trite.” Despite these handicaps, Swan Lake gives Tchaikovsky many opportunities to showcase his gift for melody and, as Brown points out, has proved “indestructible” in popular appeal. The oboe solo associated with Odette and her swans, which first appears at the end of Act 1, is one of the composer’s best–known themes. 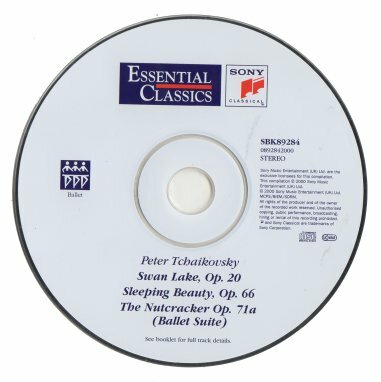 Tchaikovsky considered his next ballet, The Sleeping Beauty, one of his finest works, according to Brown. The structure of the scenario proved more successful than that of Swan Lake. While the prologue and first two acts contain a certain number of set dances, they are not designed for gratuitous choreographic decoration but have at least some marginal relevance to the main plot. These dances are also far more striking than their counterparts in Swan Lake, as several of them are character pieces from fairy tales such as Puss in Boots and Little Red Riding Hood, which elicited a far more individualized type of invention from the composer. Likewise, the musical ideas in these sections are more striking, pointed and precise. This characterful musical invention, combined with a structural fluency, a keen feeling for atmosphere and a well-structured plot, makes The Sleeping Beauty perhaps Tchaikovsky’s most consistently successful ballet. 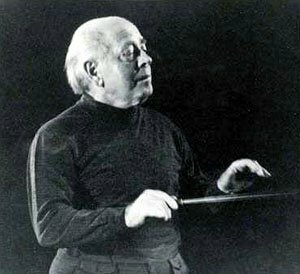 Longtime Philadelphia Orchestra conductor Eugene Ormandy (November 18, 1899 – March 12, 1985) (born Jenó Blau) developed what came to be known as the “Philadelphia Sound.” (He groused that it should be called the “Ormandy Sound,” even though its fundamentals had already been established during Leopold Stokowski’s long tenure with the Philadelphia Orchestra.) Largely as an effort to overcome the dry acoustics of the orchestra’s home, the Academy of Music, Ormandy emphasized lush string sonorities and, often, legato phrasing and rounded tone. He was lauded even by his own musicians for his ability to conduct everything from memory, even complex contemporary scores. Still, aside from the voluptuous tone, Ormandy’s interpretations rarely bore an individual stamp. They were, however, highly polished, intelligently balanced, and well paced, always serving the scores honorably, and often with a dash of controlled excitement. Ormandy initially studied violin with his father, and entered Budapest’s Royal Academy of Music at age 5, falling under the tutelage of Jenö Hubay at 9. He received a teacher’s certificate at 17, and served as concertmaster of the Blüthner Orchestra in Germany, also giving recitals and performing as a concerto soloist. He moved to the United States in 1921 (taking citizenship in 1927), lured by the promise of a lucrative concert tour. That tour fell through, though, and Ormandy was forced to make ends meet by taking a back-desk job with the Capitol Theater Orchestra in New York City, accompanying silent films. Ormandy soon advanced to the position of concertmaster, and made his conducting debut there in September 1924 when the regular conductor fell ill. By 1926 he was named the orchestra’s associate music director, and made extra money conducting light classics on the radio. Important debuts soon followed: he conducted the New York Philharmonic at Lewisohn Stadium in 1929, and the following year became guest conductor of the Robin Hood Dell Orchestra in Philadelphia. On October 30, 1931, came his first performance with the Philadelphia Orchestra. The following year he was engaged as music director of the Minneapolis Symphony, with which he made several recordings, but he didn’t remain long in the Midwest. 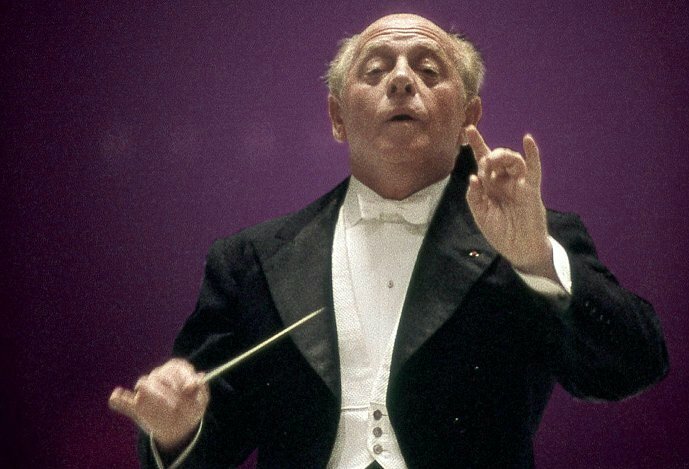 In 1936 the Philadelphia Orchestra called him back as associate conductor, to share baton duties with Leopold Stokowski, who was being eased out. 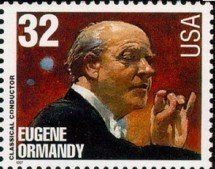 Ormandy became the orchestra’s music director in the autumn of 1938, and held that position for 42 years, until his retirement at the end of the 1979-1980 season (whereupon he was named Conductor Laureate). He led the Philadelphia Orchestra on several national and international tours, including, in 1973, the first appearance of an American symphony orchestra in the People’s Republic of China. Ormandy was knighted in 1976 — Queen Elizabeth II’s way of observing the American bicentennial. The recordings was made in the years 1972 + 1973. 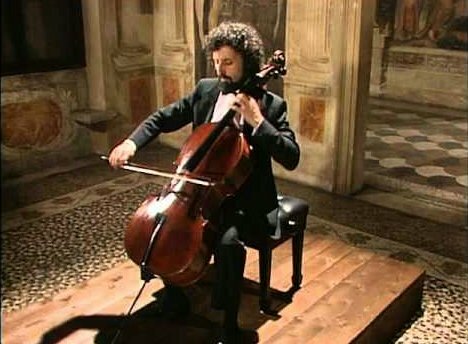 Mischa Maisky (Latvian: Miša Maiskis; born January 10, 1948 in Riga) is a Latvian-born Jewish cellist. Maisky is the younger brother of organist and harpsichordist Valery Maisky (1942-1981). 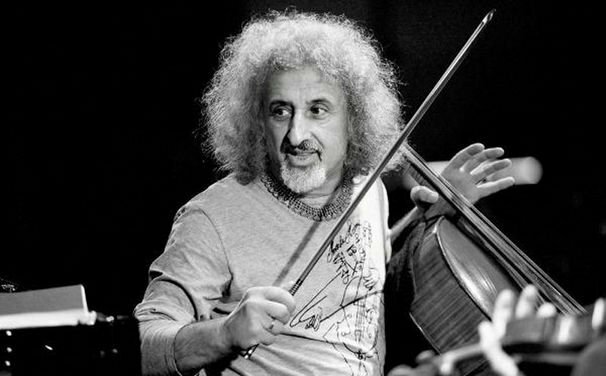 He began studies at the Leningrad Conservatory and later with Mstislav Rostropovich at the Moscow Conservatory whilst pursuing a concert career throughout the Soviet Union. In 1966 he won 6th Prize at the Moscow International Tchaikovsky Competition. While his debut, at 17, with the Leningrad Philharmonic Orchestra earned him the nickname “Rostropovich [the late, great Russian cellist] of the future”, it was in 1966, as prize-winner of the prestigious International Tchaikovsky Competition, that he really started getting noticed. He entered the famous Moscow Conservatory to study with Rostropovich and was quickly taken under the great musician’s wing. He emigrated to Israel in 1971, where he holds citizenship. He also studied for a time with Gregor Piatigorsky in Los Angeles. He currently lives in Belgium. 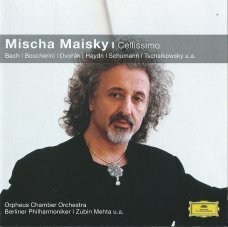 In his performing and recording career, Maisky has worked in long-standing partnerships with artists such as the pianists Martha Argerich, Radu Lupu, and Sergio Tiempo, the violinists Gidon Kremer and Janine Jansen, and the conductors Leonard Bernstein, Zubin Mehta, Vladimir Ashkenazy, Daniel Barenboim, and Giuseppe Sinopoli. Maisky’s friendship with Argerich has led to many performances together, such as the world premiere of Shchedrin’s double concerto Romantic Offering in 2011 in Lucerne, Switzerland. In 2003, he performed at the St. Petersburg Symphony Hall with that orchestra during the celebration of 300 years of music at St. Petersburg, was warmly received to much applause, and repeatedly called back for bows with the orchestra. 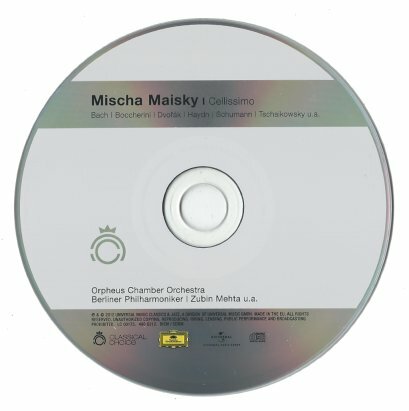 This is a sampler with some of his finest works (recorded between 1990 – 2003) … you should discover the magic of Mischa Maisky ! Berlin Philharmonic Orchestra conducted by Zubin Mehta (on 01.